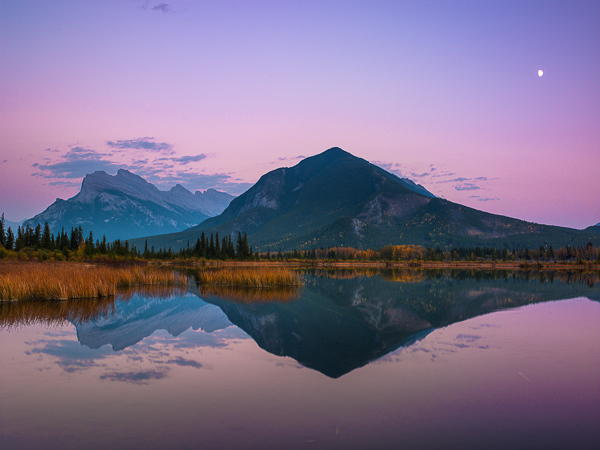 Mountain reflections within one of the Vermillion Lakes of Banf. Mount Rundle in the distance shows its jagged edges. Photo © copyright by Lance B. Carter.